You probably have this image of the circle of life in your head where a zebra eats a plant, a lion eats the zebra, the lion dies and fertilizes the soil, and then new plants grow. I mean, that sort of happens, but have you considered where snakes fit into all of this? A new study from a team of biologists finds that rattlesnakes might be helping plants grow by eating mice storing seeds in their cheeks. If not for snake intervention, many of the seeds would be destroyed, but they seemed to germinate just fine once they entered rattlesnakes’ colons. While lots of plants rely on rodents or other animals to spread their seeds, the researchers note that a number of those seeds are eliminated in the process. Birds and other larger mammals who eat the rodents can be secondary seed-spreaders. 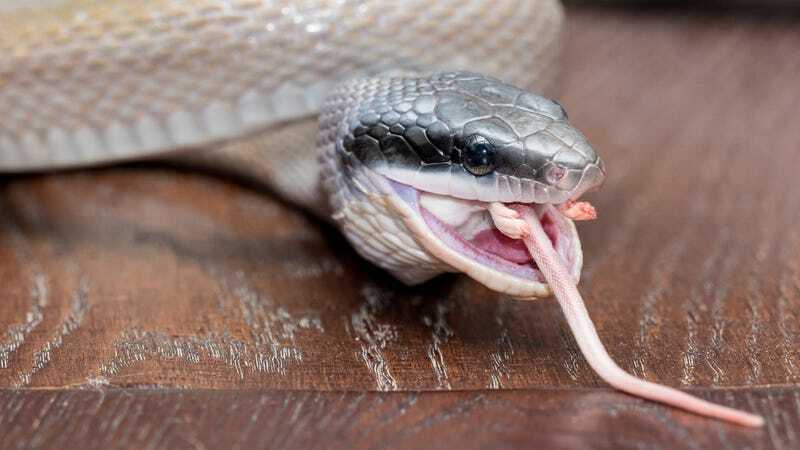 So snakes might be saving seeds by eating mice before the mice digest the seeds. Snakes’ role in seed dispersal, however, hasn’t been studied very much. “Because seed rescue and secondary dispersal in snakes has yet to be investigated, and because numerous other snake species consume [grain-eating and fruit-eating] birds and mammals, our observations offer direction for further empirical studies of this unusual but potentially important channel for seed dispersal,” the authors write in the study, published this week by Proceedings of the Royal Society B. To research this process, the authors cut open a bunch of dead snakes preserved in museums. They analyzed 50 specimens and found prey in “in 22 stomachs, 17 upper intestines and 25 lower intestines,” accounting for 36 rodents. They also found 971 seeds, mostly inside intestines—19 of them had germinated and 11 of those germinated seeds were inside a single snake. All of that work provided “compelling evidence” that three species of North American snakes were spreading seeds by eating rodents. Furthermore, the seeds stay viable as they pass through the snake digestive system, as evidenced by the fact that the seeds were usually intact and 19 had germinated. It makes sense: As carnivores, snakes don’t (and often can’t) digest plant matter. By eating mice, they could be protecting the seeds from the digestive systems of the animals that do break down the seeds. And it generally takes two to three weeks for something to make it from mouth to poop in a snake, so they can also be important agents in dispersing these seeds elsewhere. Others seem to be excited by the study. University of Sao Paolo herpetologist Laura Alencar said it was a “super nice natural history study” in a tweet, for example. Obviously there’s more work to do, since these are all lab studies, not research in the wild. 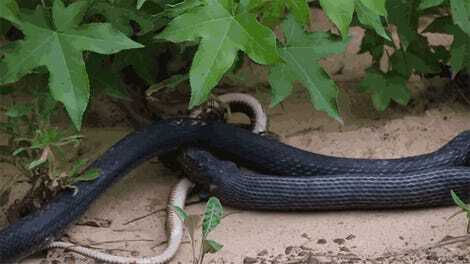 The researchers suggest trying to plant seeds after snakes poop them out. But it might be time to think of snakes as more than just evil rat eaters.